Lot Cd13 84 Crownridge Drive, Bedford (MLS® 201808030 ) Stonewater Homes presents “The Tario” on the exclusive street of Crownridge Drive in The Parks of West Bedford. Situated on a beautiful 50 foot wide lot with walk out basement. 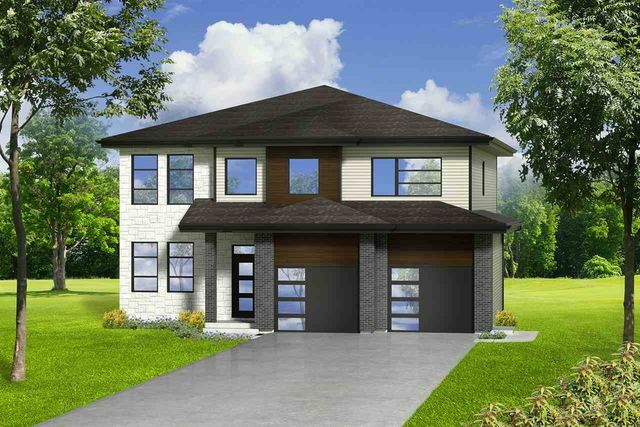 The Tario boasts 3,793 square feet of fabulous and functional living space. A welcoming entry with two story ceilings invites you into this stunning 5 bedroom, 3.5 bath executive home and flows nicely into a bright open-concept living space. A main floor den or office is located off the foyer - with a closet for extra storage and plenty of natural light. The custom kitchen with walk-in pantry and gleaming quartz counter tops is bright and open and you will not miss a minute of the action when entertaining friends and family in the large dining area and great room complete with a beautiful natural gas fireplace. Natural light abounds in this great room space with plenty of windows and patio doors to the rear deck. A convenient mudroom with storage lockers offers additional storage space to assist in organization and provides access to the large DOUBLE car garage. A custom hardwood staircase leads to the second floor, featuring a gorgeous master suite that is truly a must-see. Relax and unwind in your large master bedroom and enjoy a master ensuite with large custom tiled shower, freestanding soaker tub, dual vanities, separate toilet room and over sized walk-in closet. A conveniently located laundry room (with storage) as well as three more spacious bedrooms and a full bathroom complete the second floor. This home offers on-trend contemporary finishes throughout, paired with the efficiency and comfort provided by a natural gas heat pump & the convenience of a gas hook ups for the range & BBQ box on the rear deck. On the lower level, you will find additional space for entertaining with a walk out to the rear yard. 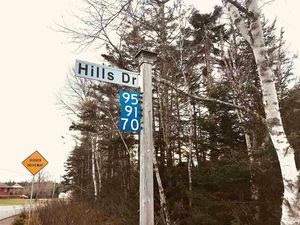 This level includes a 5th bedroom, full bathroom, large rec room and a cozy theater room that will be a hit with kids & Note: The seller is licensed to trade real estate in NS.